Your 30th birthday is not as big a milestone event as your 21st or 40th but it still marks the passing of your twenties, and as such should be celebrated in style. The trouble is that coming up with 30th birthday gift ideas isn’t as easy as the major milestones like 21 or 40, because there’s not as much available. 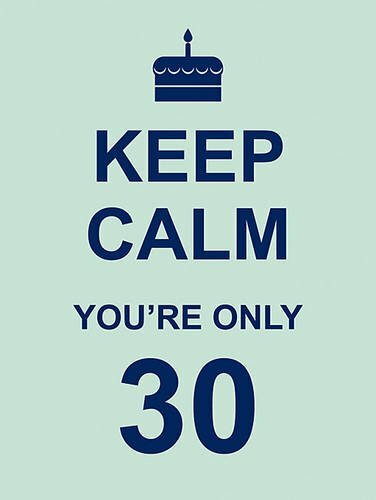 But we’re here to help, so if someone you know is approaching 30 and you’re looking for ideas for what to buy them then browse our fantastic selection of 30th birthday gift ideas below. You’re bound to find a great present to make their day even more special. Click on the images for more information about each present. 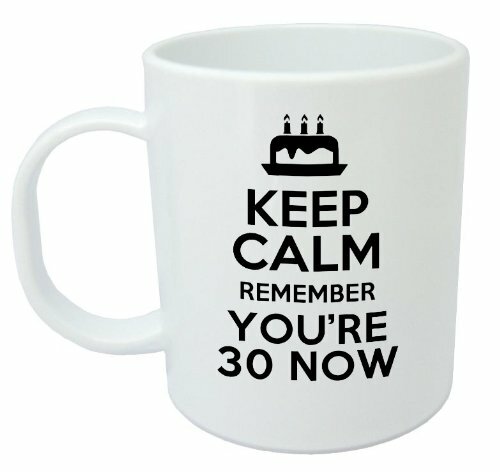 This high quality and dishwasher safe mug makes for a fun 30th birthday gift idea. The ‘under the surface’ printing technology used gives the mug a beautifully glossy appearance, and helps to ensure the mug will never chip or scratch. 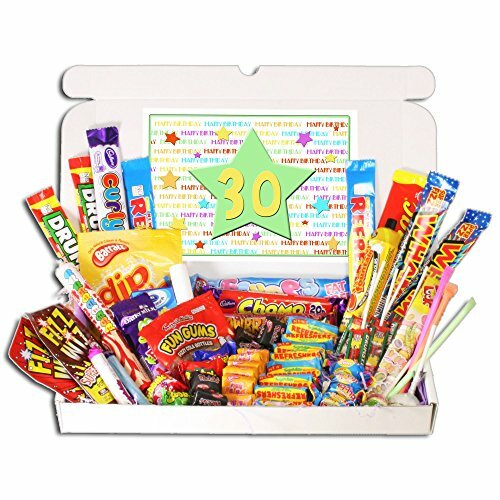 If you’re buying for someone with a bit of a sweet tooth, then this 30th birthday retro sweets gift box is ideal. It’s packed full of nostalgic sweets from his younger years and is sure to evoke great childhood memories. A great gift that’s sure to stand out on his big day and get everyone reminiscing about the good old days! 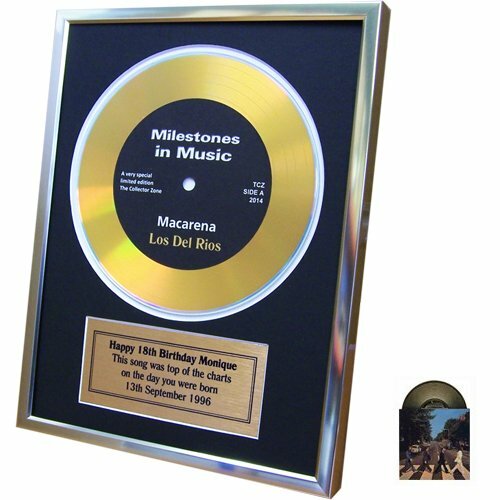 Let him own his very own gold disc featuring the number one record from the day he was born with this fantastic gift idea. You can add your own special message to the plaque to make the gift extra special. This is a great 30th birthday gift idea (or for any birthday really) for the music lover. In fact, it’s sure to be a hit with anyone! Hip flasks are hip again! Especially when they come with a miniature of his favourite tipple. And this one comes with a miniature bottle of Jack Daniels. 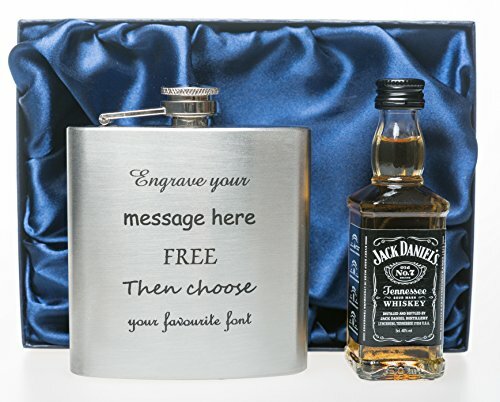 Engraved with the message of your choice to make this a very personal gift, this is guaranteed to be a warmly received present. This great little book is packed with quotes to help him come to terms with reaching the major milestone of his 30th birthday. It makes a quirky and unusual little birthday gift that is sure to be a talking point on his big occasion. An amusing and entertaining keepsake. 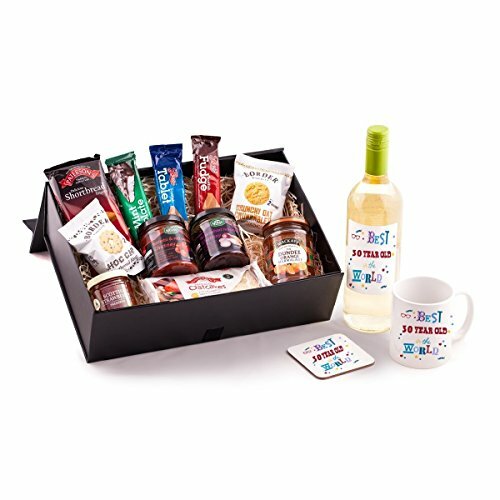 He’s sure to feel like the best and most important 30 year old in the world when you present him with this fantastic hamper! It includes a bottle of Sauvignon Blanc with a special label saying “Best 30 Year Old in the World”, along with a variety of food treats including chocolate, sweets, biscuits, chutney and jam. It also includes a “Best 30 Year Old in the World” mug and accompanying coaster. 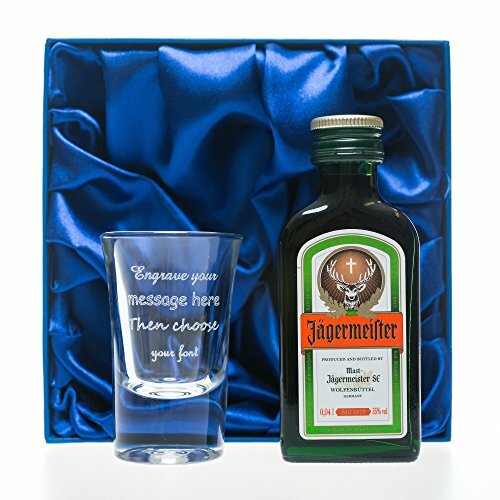 Perfect for the shot lover this engraved shot glass and miniature bottle of Jagermeister comes in a beautiful silk presentation box. You can add your own personal message to the shot glass for that extra special touch. A fantastic little gift that looks far more expensive than it actually is. 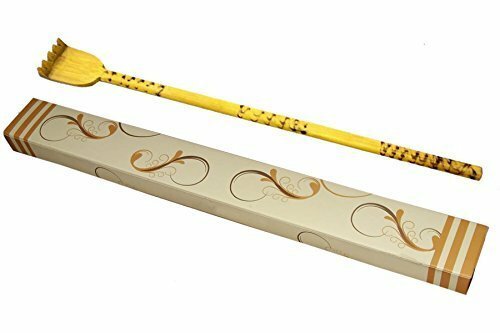 If you’re on the hunt for an unusual and distinctive 30th birthday gift then how about this beautiful hand crafted back scratcher? He’s almost certain not to already have one, and it’s highly unlikely anyone else will buy him one! Carved by hand, every one of these back scratchers are unique and they’re great for getting to those out-of-reach itches. 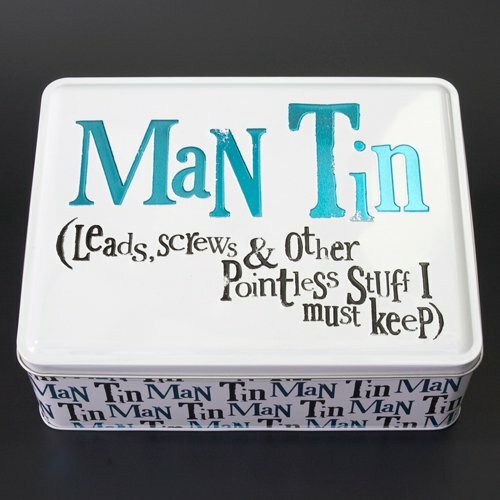 Every guy needs a man tin to keep all his bits and pieces in! And this one is the best looking and most distinctive one we’ve seen, with it’s uneven and unusual writing. To make it that extra bit special, why not fill it with all his favourite things before giving it to him? This is a superb gift idea for the real ale lover. 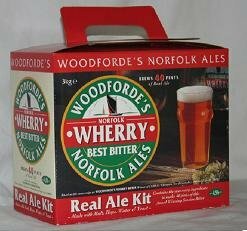 It always tastes that much better when you make it yourself, so allow him to brew his very own ale with this fantastic home brew kit. It contains everything he needs to make 40 pints of high quality and tasty real ale.